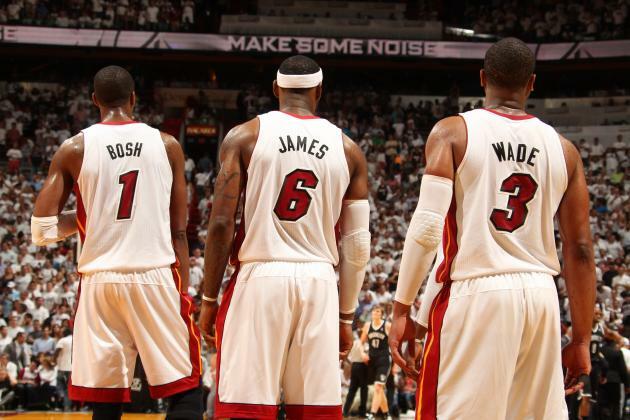 The Miami Heat made history as they qualified for their fourth consecutive Finals. However, in a rematch with the San Antonio Spurs, they fell short of winning their third title in a row. They now face a critical crossroads in the offseason that could reshape the landscape of the entire league. The Miami Heat entered the season as the back-to-back reigning NBA champions, coming off three consecutive Finals series appearances and chasing a historic fourth Finals in a row. The regular season went as planned, as the Heat cruised to a 54-28 record. And while that record was not good enough for the first seed in the Eastern Conference – placing Miami second, behind the Indiana Pacers – it was not panic stations for Eric Spoelstra’s men. Miami have finished behind the Chicago Bulls twice since the genesis of the Big Three in South Beach and reached the Finals both years. The Heat made easy work of their first three playoff series, sweeping the Charlotte Bobcats in the first round, dropping only one game to the Brooklyn Nets in round two and finishing with a 4-2 advantage over the Pacers in the Eastern Conference Finals. Their win over Indiana made Miami the first team to qualify for four consecutive Finals since the 1984-87 Boston Celtics and only the third franchise in NBA history – the Celtics made a remarkable 10-straight appearances from 1957-66 and the Los Angeles Lakers played in the Finals from 1982-85 – to hit that mark. However, the celebration was short-lived as Miami finally met their match, falling at the final hurdle to an inspired San Antonio Spurs. It was a series of polar opposites. While Miami looked gassed, showing the wear and tear of such a monumental workload over the past four seasons, the Spurs looked fresh, locked in and determined to avenge their heart-breaking loss from the season prior. It would be harsh to criticise the Heat for coming up short this year. Unlike their 2010 failure against the Dallas Mavericks, where Miami underperformed, this year, the Spurs simply performed at a level that the Heat could not match. Put any other team in the league against that Spurs team and they lose 28 times out of 28. San Antonio outscored opponents in the 2014 postseason by a total of 214 points, by far the largest margin in NBA history, shot a record breaking 52.8% from the field in the Finals and recorded the largest average winning margin in Finals history at 14.5 per game. The wear and tear of Miami’s huge workload over the past four years began to show towards the end of the season. Since joining forces in Miami, the Big Three has played a total of 251 playoff games – equal to over three regular seasons – so, the Heat’s superstars have effectively played five seasons in the space of four. Additionally, LeBron James was part of the 2012 Team USA Olympic squad that went to London, further adding to the miles on his legs since joining the Heat. 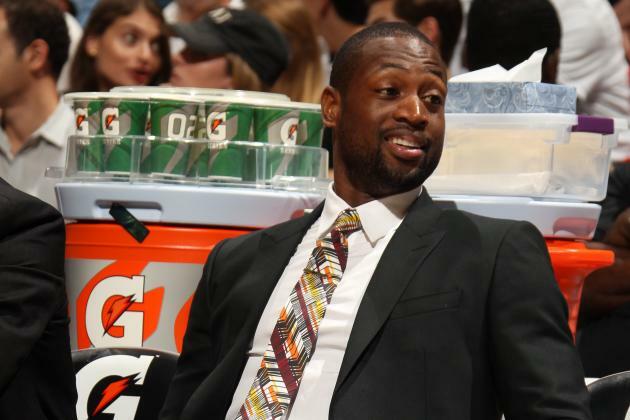 Meanwhile, Dwyane Wade was kept on a strict minutes management program this season, resting on back-to-backs and taking nights off when he was at anything less than 100% healthy. All in all, Wade suited up for only 54 regular season games, including missing 12 of the Heat’s last 18, playing 32.9 minutes a night – the lowest of his career. Likewise, Chris Bosh played a career-low 32.0 minutes per contest. However, despite all their attempts to prevent their stars from burning out before the season’s end, it was clear in the Finals that the Spurs had the fresher legs. As a result, Miami was not the super-elite offensive or defensive force they have been in the past. This season, they fell to 12th in the league for points per game (102.2), down from fifth (102.9) the year before, and to fifth (110.9) from second (112.3) for offensive efficiency. Likewise, their defence slipped slightly. While they remained fifth in the league for points against, they allowed more buckets per night on average (97.4 from 95.0) and fell from ninth in defensive efficiency a year ago (103.7) to 11th (105.8). 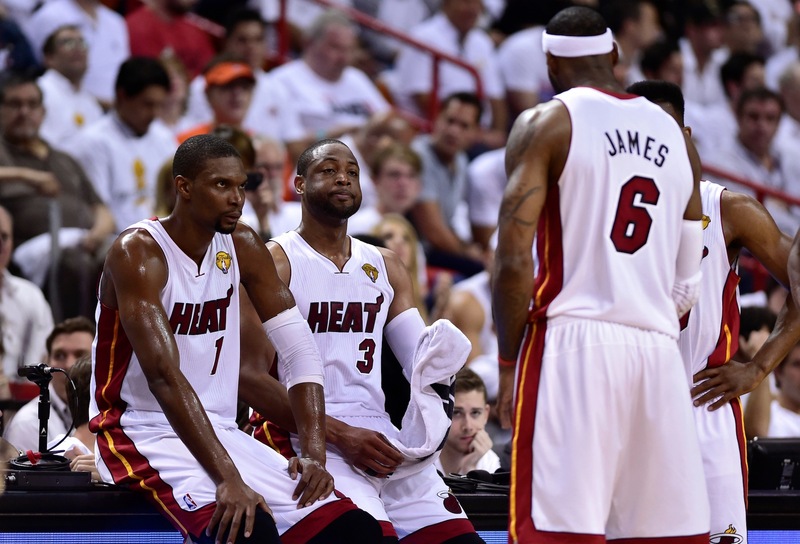 It was the first time in the ‘Heatles’ era that Miami was not top-10 in each category. In addition to the fatigue to their stars, the decline of Ray Allen (9.6 points per game – career-low) and Shane Battier (4.1 points, 20.1 minutes – career-worsts), combined with the loss of Mike Miller (41.7% from three last season), left Miami without a consistent veteran perimeter scorer for the first time. Likewise, offseason additions Michael Beasley (7.9 points and 3.1 rebounds in 15.1 minutes) and Greg Oden (2.9 points, 2.3 rebounds, 9.2 minutes through 23 games) failed to have an impact throughout the year. And while Mario Chalmers matched his career-high in assists (4.9) and had his equal-second-best scoring output (9.8) during the regular season, he was anonymous during the finals. 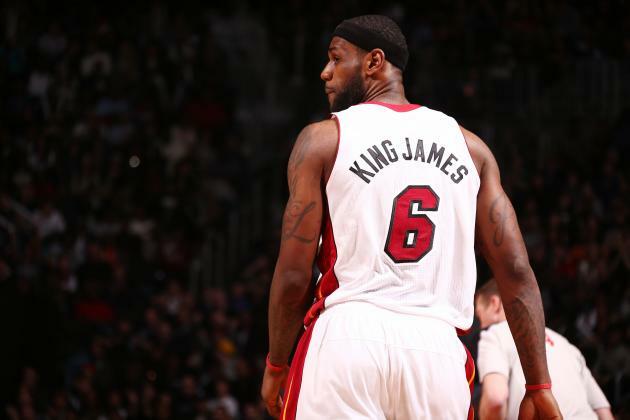 What is there left to say about King James? While he didn’t win his fifth MVP or add to his two rings this season, he did have another spectacular individual year, averaging 27.1 points (third in the NBA) at 56.7% (fourth), 6.3 assists (10th), 6.9 rebounds (fifth amongst smalls forwards) and 1.6 steals for the year. James again took his scoring efficiency to another level, finishing second in the league for true shooting (64.9%), third in effective field goal percentage (62.3%) and was second only to Kevin Durant in Player Efficiency Rating (29.3). The four-time MVP also shot a career-high 79.6% at the rim, 55.4% from 3-10 feet and a ridiculous 62.2% from two-point range in total, maintaining his reputation as the most unstoppable finisher in the league. Despite the presence of his All-Star running mates, James once again shouldered a monstrous load for Miami, enduring the fourth-highest usage rate (31.0%) and still producing the second-most win shares in the Association (15.9). Durant may have run away with the Maurice Podoloff Trophy, but James made several pushes into pole position to take out his fifth MVP award – none more emphatic than his 61-point explosion against the Bobcats. However, despite falling short in MVP voting and in the Finals, James still as not short of awards to add to his already-enormous trophy cabinet, earning his 10th All-Star selection, eighth All-NBA First Team nod and first All-Defensive Second Team honour by the end of the year. Meanwhile, Miami’s Finals failings are hardly James’ fault. The two-time Finals MVP averaged 28.2 points on 57.1% from the floor and 51.9% from deep, 7.8 rebounds, 4.0 assists and 2.0 steals against the Spurs. Unlike his struggles against the Mavericks, James was the only member of the Big Three to perform to standard in the Finals. Game One cramps aside, what else could he have possibly done different against a team in such blistering form? When James joined the Heat, there were legitimate debates surrounding who would be the Alpha dog on the squad. Would it be James, or would it remain Wade’s team? However, as Wade’s health gradually becomes more and more of an issue, that debate becomes more and more ludicrous in hindsight. The Heat are at their best with a fully fit Wade alongside James, running the lanes and terrorising defenders in transition. And while Wade has steadily transformed himself into one of the most efficient wing players in the league, shooting a career-best 54.5% from the floor this season (eighth in the league), thanks in large part to career-highs from 3-10 (51.7%) and 10-16 feet (50.0%), he is no longer the force he once was around the rim. This season, Wade shot the fewest percentage of attempts at the basket since teaming up with James and Bosh and attempted by far the least free throws of his career – taking even less shots from the stripe than in the lockout shortened 2011-12 season, where he played five less games. Don’t get it twisted, Wade is still a fantastic player. This season, the former Finals MVP still averaged 19.0 points, 4.5 rebounds and 4.7 assists and the Heat did fair slightly better with him in the lineup during the regular season – going 36-18 with Wade playing (66.7% winning percentage) and only 18-10 without him (64.3%). However, it is clear that he is not the devastating, dominant athlete he once was. More worryingly, despite all the rest he received during the regular season, Wade’s performance nosedived during the postseason, averaging 17.8 points at 50.0%, 3.9 rebounds and 3.9 assists for the playoffs as a whole and just 15.2 points at 43.8%, 3.8 rebounds and 2.6 assists in the Finals. Whether or not Wade’s postseason struggles were injury induced, or just a terribly timed form slump remains to be seen, but regardless, the signs are worrying for Miami. Similarly, the play of Bosh has drastically changed since year one with the Heat. His raw statistical output continued to fall, averaging 16.2 points at 51.6% from the field and 33.9% from deep (career-best) and 6.6 rebounds (career-low) for the season, and while as much can be expected with James and Wade on the roster, it is still a concern. Bosh has reinvented himself as a jump shooter, and a successful one at that, recording a 59.7% true shooting percentage (15th) and 55.5% effective field goal percentage (17th) for the season. Meanwhile, through the first 10 years of his career, 3.0% of field goal attempts came from beyond the three-point line, last season that number spiked to 22.9%. The concern is not Bosh’s ability to score as a perimeter player, he did after all shoot a career-high from deep, it is how the Heat can find balance within their offence with Bosh moving outside of the paint. The saying goes, ‘live by the jump shot, die by the jump shot’, and while the Spurs showed how devastating shooters can be, the Heat are desperately lacking an inside presence that can score down low and cause headaches for opposing bigs. Last season, Bosh attempted a career-low 3.4 free throws per game, couple that with his career-worst rebounding numbers and it is clear that he is no longer the inside scorer he once was. Once a big man starts drifting to the outside, he rarely returns. Now, all of this is not to say that Bosh had a bad season. Rather, the bigger question is how can the Heat incorporate this new Bosh and find a consistent interior presence at the same time? News recently broke that James has opted-out of his player option for next season. Meanwhile Bosh and Wade are yet to decide on their early termination options. The move from James suggests that the Big Three are set to restructure their deals in order to give Miami’s front office room to revamp their stagnant supporting cast. However, as long as James is not a contracted Miami Heat player, rumours will run rampant that he is headed elsewhere. Reports suggest that he could be on his way to the Los Angeles Clippers in sign-and-trade deal surrounding Blake Griffin. Meanwhile, the Los Angeles Lakers, Houston Rockets, Cleveland Cavaliers, Chicago Bulls, Golden State Warriors and even the Atlanta Hawks and Phoenix Suns are reportedly circling for a run at the four-time MVP. However, focusing on the Heat, if James, Bosh and Wade all agree to return at a discount, there are plenty of options for Miami to investigate in order to improve their roster. Miami made their first move in attempting to lure back their two-time Finals MVP on draft night, selecting James’ “favourite player in the draft”, Shabazz Napier, with the 24th overall pick – after trading up to get him. Napier will also be able to help on the floor. He brings the winning attitude that Riley covets, having won two National Championships with UConn, and is an excellent all-around player – 18.0 points, 5.9 rebounds, 4.9 rebounds and 1.8 steals in his senior season, while shooting 44.8% from the floor and 40.5% from deep. He won’t move the needle in terms of winning rings, but anything that keeps LeBron happy is a win on draft day. The biggest name floating around in free agency (outside of Miami) is New York Knicks forward Carmelo Anthony, who also recently opted-out of his contract. However, New York can offer Melo a max salary contract with an extra year (equal to $129 million in total), so even if the Heat can offer him $15 million a year, he would have to leave more than half the cash the Knicks could give him on the table. More likely, the Heat will chase two lesser names to round out their roster. Toronto Raptors point guard Kyle Lowry would be an excellent upgrade over Chalmers, while Cleveland forward Luol Deng would give the Heat the perfect defensive replacement for the retired Battier. Washington Wizards big man Marcin Gortat could also be an option, but it is unlikely that Washington lets him walk. Role players Shaun Livingston, Trevor Ariza and Shawn Marion, amongst others could also be in play here. If the Big Three decide to return, and the Heat have money to play with, Miami wont be short of players willing to sacrifice salary for the chance at a title. Meanwhile, the Heat have two picks in the upcoming draft – 26th and 55th overall – and could bring in a discount rim protector here. If Miami trades their first-round pick, it is a good indication that they are looking to shed salary in order to make a run at some immediate help. However, nothing is certain until James inks his next deal. Miami are a lock to be one of the biggest movers this offseason. All you can do is sit back and enjoy the ride. Follow Ball So Hard on Twitter and Facebook. Find season reviews for every NBA team here.